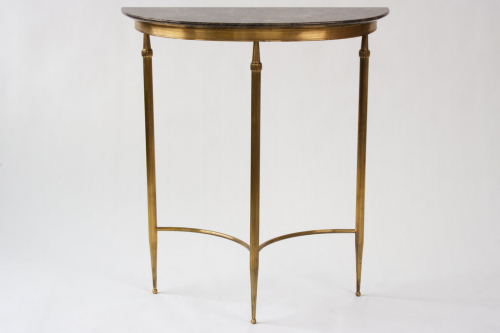 1950`s Italian half-moon brass console table. Pretty shaped legs. Stunning new Italian marble top.